Robert Drummond was a prisoner at Salisbury prison and published a popular memoir after the war and went on numerous speaking tours. 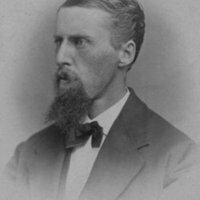 His portrait was taken several years after the war in 1872 by an unknown photographer. Prussian painter and lithgrapher Otto Boetticher joined with a New York regiment and was captured by Confederates and placed in Salisbury prison. His illustration of a baseball game at Salisbury is the first known image of baseball.